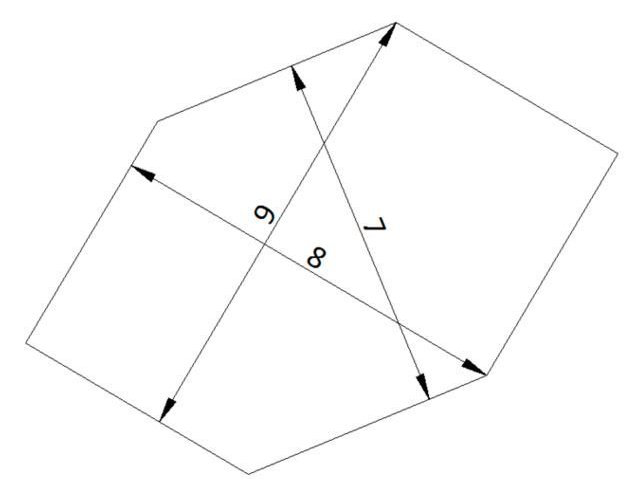 What is the area of my hexagon? I have a hexagon, with six sides of equal length. Opposite pairs of sides are parallel, and the distances between these parallel sides are 7, 8 and 9. What is the area of my hexagon? Express result to the accuracy of 3 decimal. The first user who solved this task is Neelima Subrahmanyam. 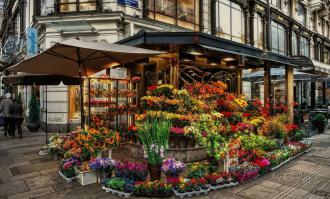 A sad-faced Doug walked into a flower shop early one morning. The clerk was ready to take his order for a funeral piece, based on the look on Doug's face, but soon realized his assumption was wrong as Doug asked for a basket of flowers sent to his wife for their anniversary.